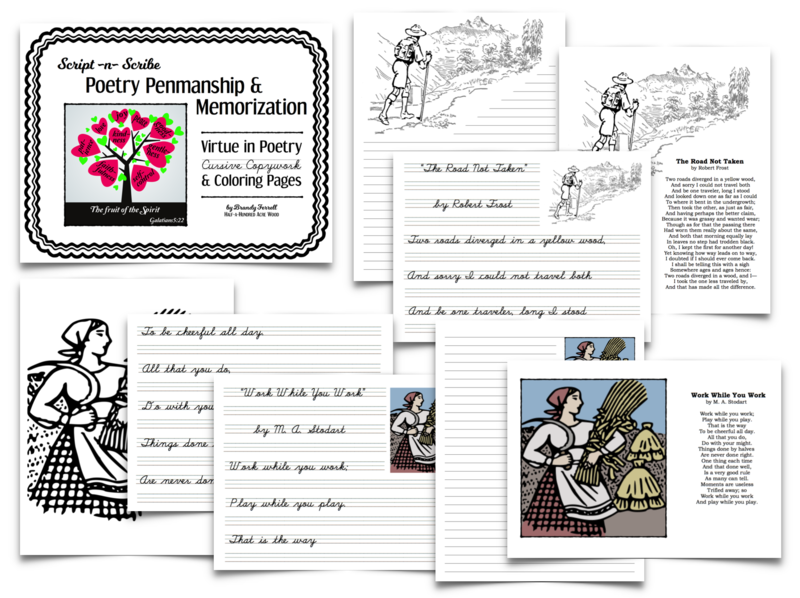 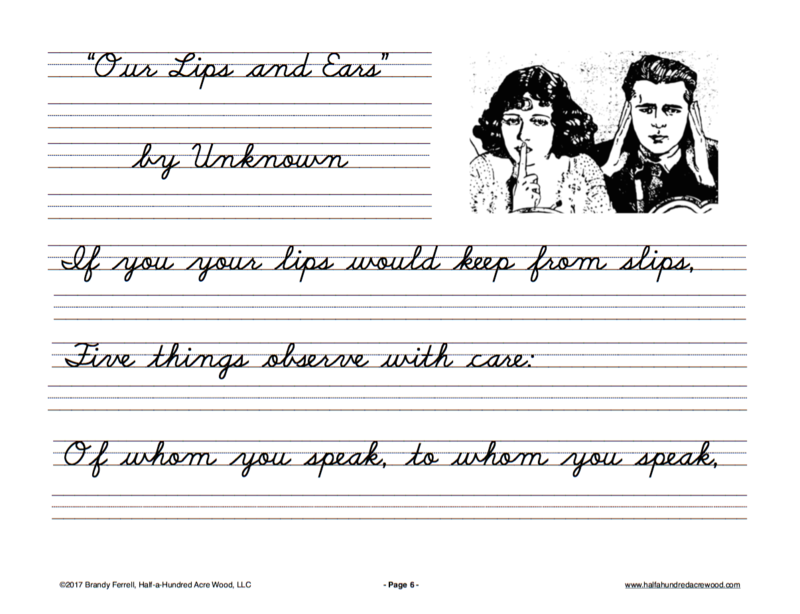 For easily incorporating poetry into your school day, along with a plan for memorizing twelve poems related to virtues. 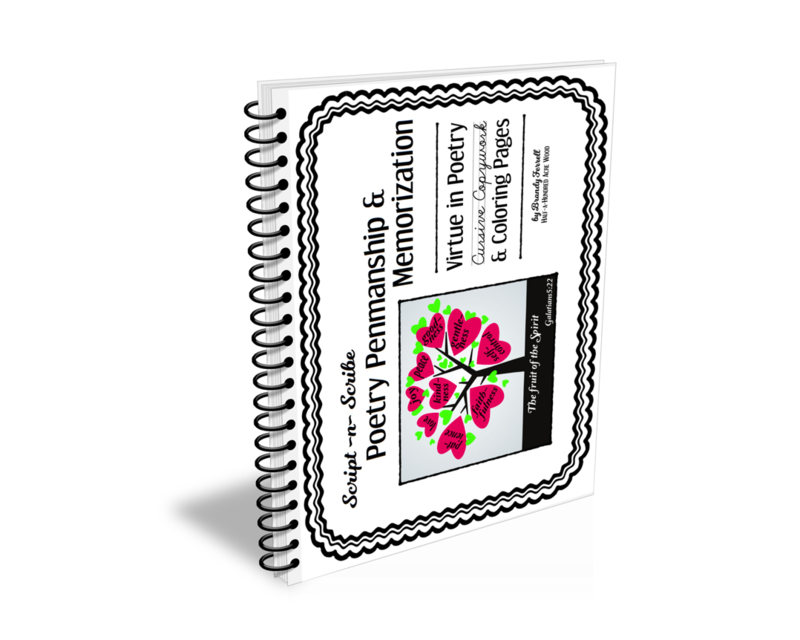 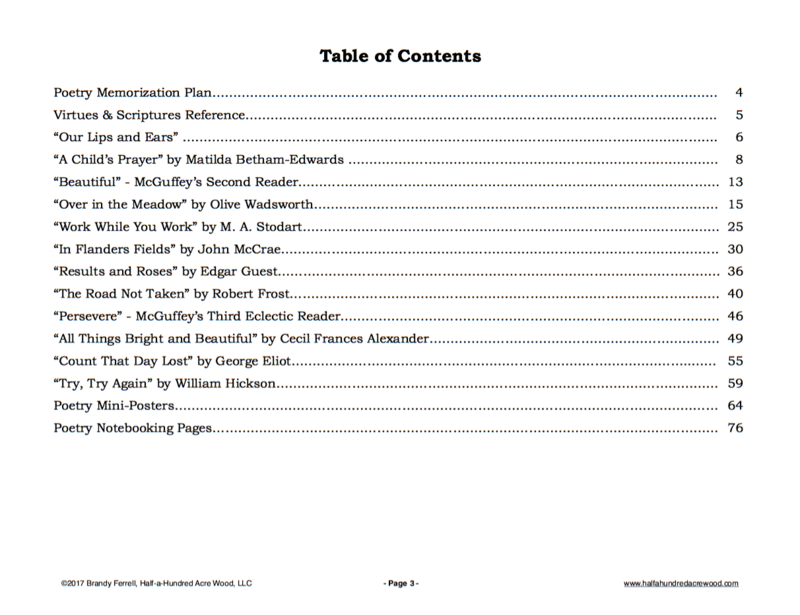 Format: Printed, spiral-bound (89-page) workbook printed single-sided to avoid wrist interference with binding. 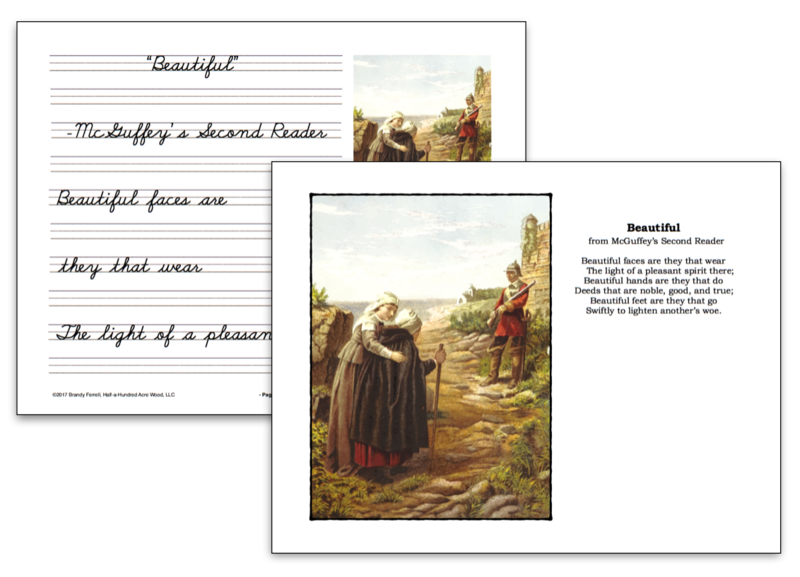 Download a sample.Bonus download of poetry audios/cards included with purchase.